Here’s a progress peek at an upcoming Resin Car Works kit. 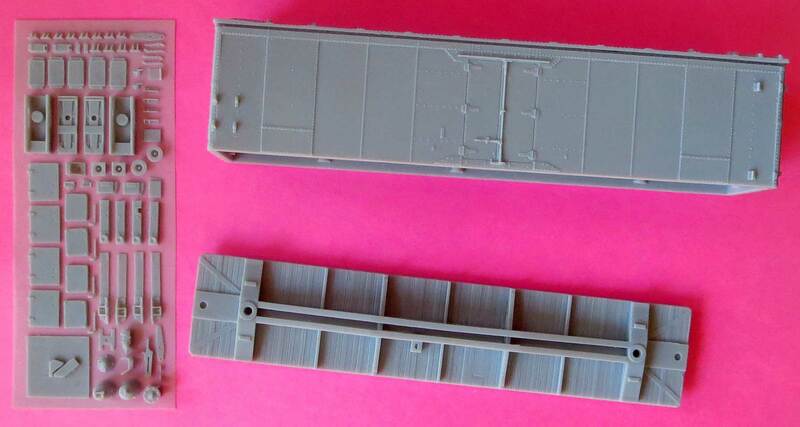 These are parts for an HO scale SFRD Rr-35/36/39/40 reefer kit. Tom Madden has been casting these and the parts are looking great. And yes, that is a one-piece body. The reefer will be one of several kits RCW has planned for 2018. Better start clearing some space on your workbench!